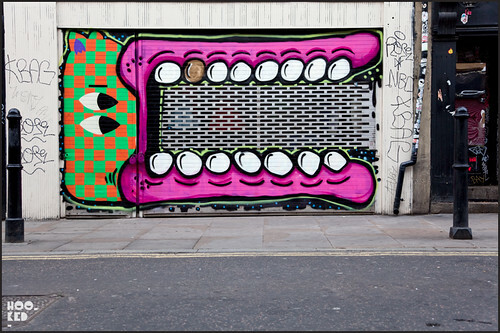 Malarky has been hitting up some shutters again on Brick Lane, we photographed the shutter above recently and passed it again early this morning to see that Sweet Toof had made a cheeky addition to the shutter. Which one do you prefer, the before or after? 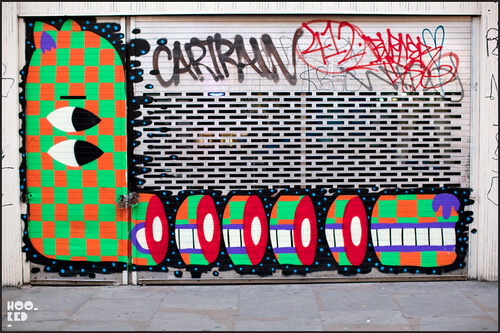 @itswakey love the toof addition! I prefer the "after" photo.